Orange is one of the most popular colors this year, what better way to celebrate than with the Fall Harvest Celebration bouquet. 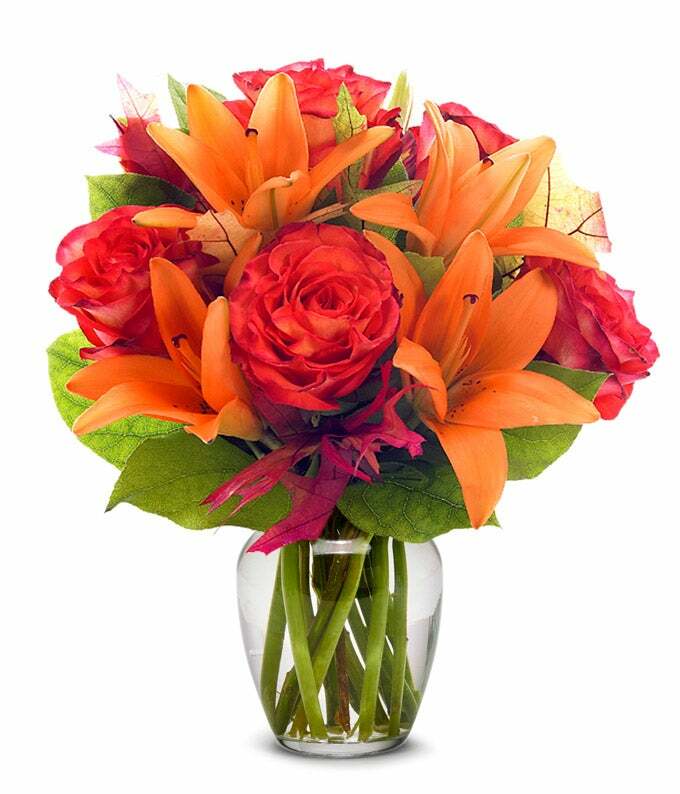 Filled with beautiful bright orange lilies and roses appropriate for fall, this bouquet is sure to add the perfect fall touch to a room. This bouquet comes with a clear glass to display the flowers in either alone, or alongside other festival fall decorations!